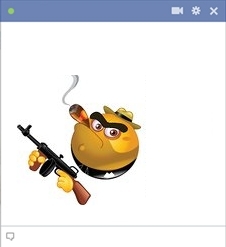 Go Gangster with this fun emoticon for Facebook! When you want to let everybody know not to mess with you, send along this tough guy in your FB messages or on your timeline. He’ll do you a favor by telling your pals on Facebook to say hello to his little friend a la Scarface. 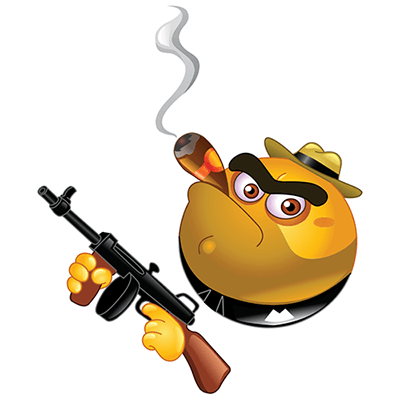 Well, we did tell you we had an eclectic collection of smileys and our Capone icon is proof!.